It’s that time of year again to dust of your periscopes and get into the groove of staring at Californian sweetheart Isabel! 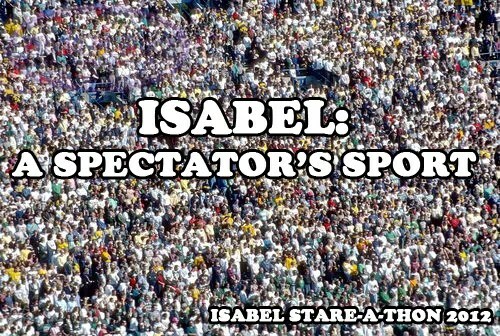 Now as you can remember the Isabel Stare-A-thon is the official start to the holiday season. And it is where we take time to show Isabel how much we care to stare at her face. Now this stare-a-thon has an exciting new development. Isabel has since the last stare-a-thon got engaged… to Dave the man who wants to make every day his own personal stare-a-thon. 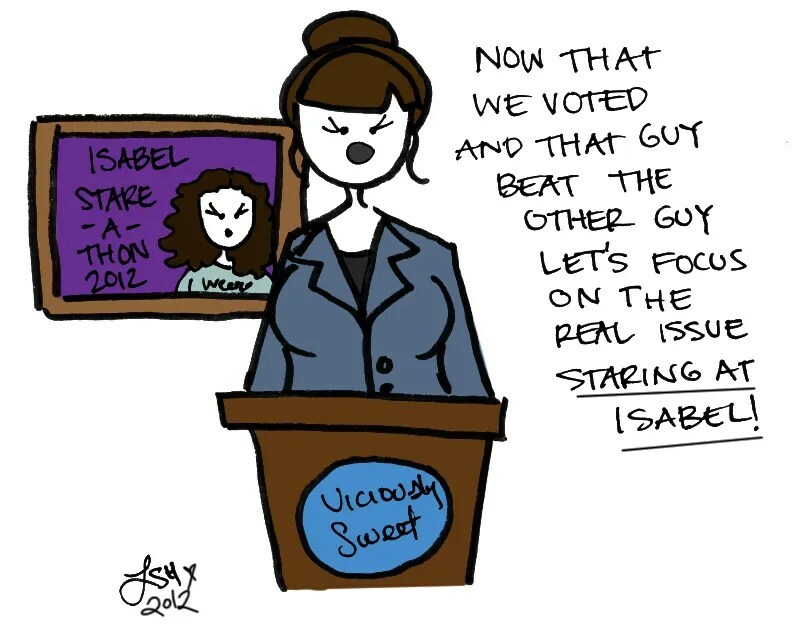 So everyone… get ready to get some Isabel Staring Happening! That is really the best way to do it! Sounds like fun… I think!